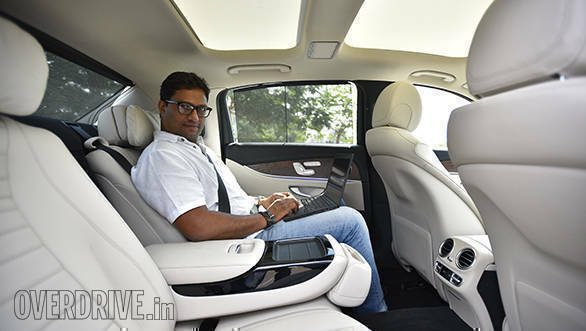 I'm writing this story from somewhere on the Mumbai-Pune Expressway, from the back seat of the new Mercedes-Benz E220d. 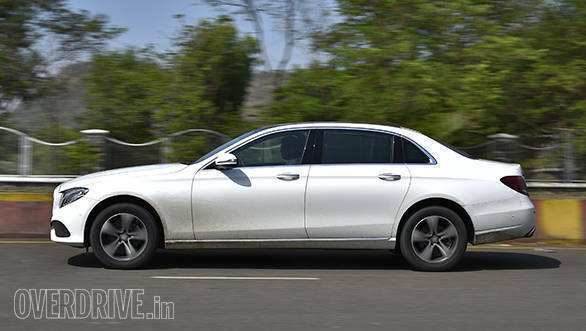 It's the newest diesel engine-powered sedan to enter the E-Class range here in India. This far Mercedes has offered just one petrol and a more powerful diesel. 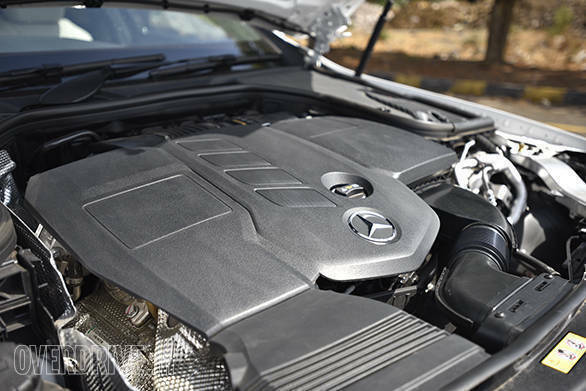 The E220d is a smaller engine, displacing just 2 litres in its 4-cylinder direct-injection turbocharged motor. It allows more people to access the brand and the product because it sits at a lower price point compared to the larger E350d. 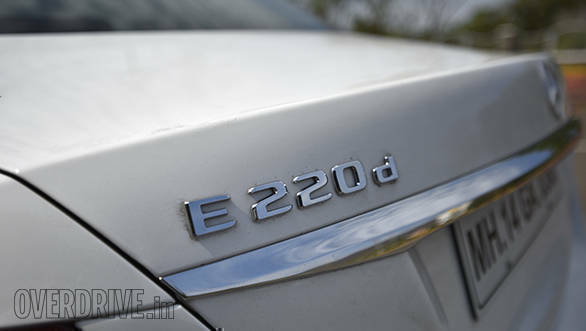 But that does not mean it has less to offer - if anything the E220d will have to work doubly hard to maintain the lofty standards employed by Mercedes-Benz. Does it do that admirably or is it just a bait to draw consumers into showrooms and upsell them? I'll know soon enough. The inside of the E220d is the same as the others in the range. One quick glance is enough to realise nothing is different from the rest of the range, and it appears that all is in place. What is essential to note is the extra legroom you get in the rear - this is still the long-wheelbase version. Only the E43 AMG, which will come in later this year, will be offered in the standard wheelbase version. The long-wheelbase version also comes with the rear adjustable seats, for long the signature feature on just the flagship S-Class sedan. Now the entire E-Class range gets those rear seats and it's just dreamy. Then there are the other rub-offs of the S-Class as well such as that large Monobloc instrument panel behind the steering wheel. It's not as elegant as the S-Class but there is a very industrial look to the entire dashboard, especially the area around the instrumentation that I find quite inspiring! Add the mood lighting and the soft rib seat upholstery, unlike the tartan pattern on the S-Class, and you have a car that is as gorgeous on the inside as it is outside. I do, however, think it's high time Mercedes-Benz offered some sort of a foldout table so that owners could park their iPads or laptops on it, given that the E-Class wants to be more of a limousine than just a sedan. The only new bit - and startlingly impressive at that - is this particular engine of the E220d. This first all-aluminium 2-litre diesel from Mercedes-Benz delivers 197PS of max power with 400Nm of max torque. The 197PS may not sound like much but it's got the heft to get ahead of lesser cars with disdain. And irrespective of whether the gas pedal gets used hard for short bursts inside the city or the steady 140kmph cruise on the expressway, the only noise is you hear is the wind blowing through the air vents. Refinement without exaggeration is close to that of a petrol engine, as is the responsiveness and the engine note. If you are the fastidious kind like us, you'd keep looking down at the tacho to assure yourself that this is a diesel! Performance is par for the course - 0-100 is a claimed 7.8 seconds while top speed is limited to 250kmph. We expect efficiency also to be of a very high order for a car in this class, especially given the 9-speed 9G-Tronic transmission. The E220d also offers the same driving modes as the other cars in the range, which means you get everything from individual personalisation to Sport Plus, Sport, Comfort and Eco driving modes. On the ride and handling front I do like what Mercedes-Benz is doing to its cars, though the bias towards better dynamics over comfort is something we are still to come to terms with. Not that that's a bad thing, but from being the supreme lord of ride quality to finding a middle ground between plush ride and confident handling, the new E220d is still kind of finding its toehold in this regard. It's still plush, but where in the past the E-Class simply wafted over everything, you now feel some of those kinks entering the cabin. 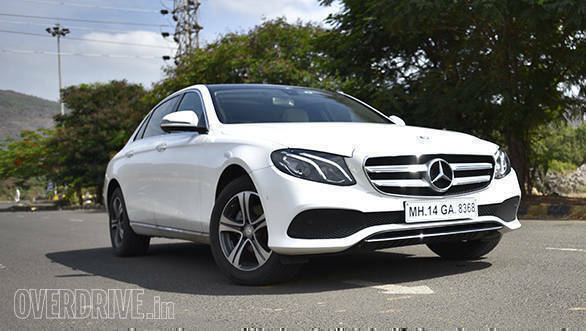 At the same time where you wouldn't really dogfight anyone in a stock Mercedes-Benz, you now have the confidence to taunt most others for those traffic light drags or in the twisties! 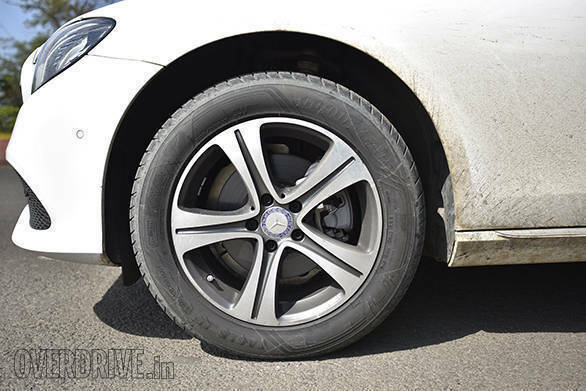 It even handles all the speed breakers you can throw at it - despite the longer wheelbase, the E220d never bottoms out. That brings me to the all-important price. 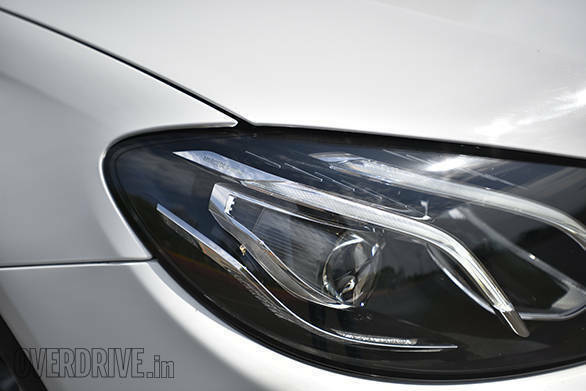 Mercedes-Benz has priced the E220d at a slightly steep Rs 57.14 lakh (ex-Pune). I do believe they could have done better but there really isn't much in the segment that feels close to this 2.0-litre engine. 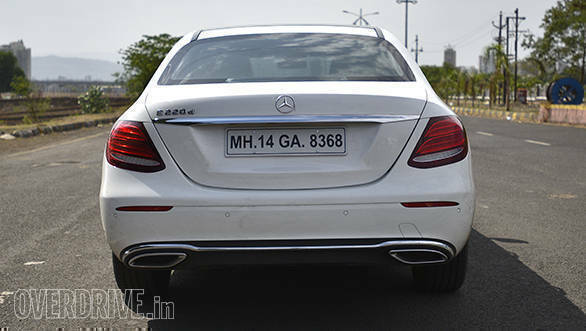 It is, without a doubt, one of the hallmarks of the entire E-Class range and warrants enough fanfare. So don't look at it, as I did when I got into that rear seat, as an entry-level diesel, because the E220d is anything but!